The powerful Metropolitan Water District voted Tuesday to pay its share of the $17 billion project to build two massive tunnels to pipe water from Northern California to Southern California cities. The vote gives Gov. Jerry Brown’s ambitious project an important boost of support after an influential agricultural group withdrew its support last month. 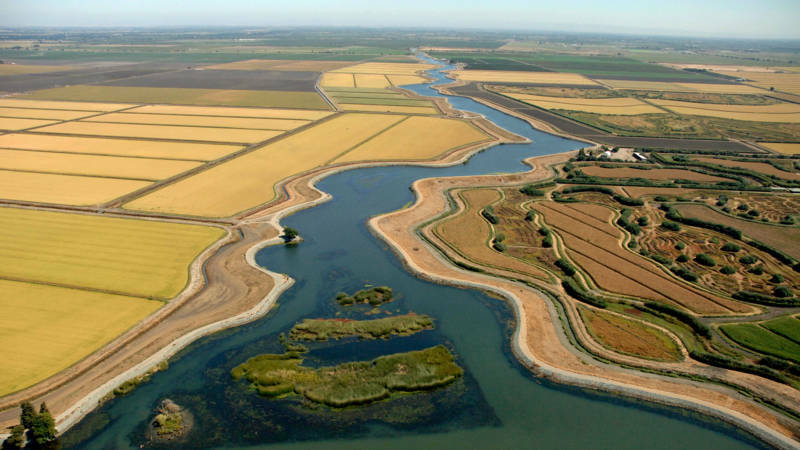 The tunnels, which have been discussed in one form or another for generations, would pipe water around the Sacramento-San Joaquin Delta — where Sierra Nevada water flows toward the sea — to a system of canals that deliver water to farms and residents mostly in the southern half of the state. The vote came after spirited comment from supporters who said the project was a modern day fix to improving reliability of water supplies that would also support jobs and critics who said it would inflate water prices for residents and projected it would further harm salmon and endangered fish in the delta. While the vote was a powerful nod of support from a water wholesaler that supplies water to 19 million people in Los Angeles, Orange, Riverside, San Bernardino, San Diego and Ventura counties, the fate of the 35-mile-long (56-kilometer-long) tunnels, however, remained somewhat uncertain. The board of the Westlands Water District, the nation’s largest supplier of irrigation water to farms, voted three weeks ago to withdraw its participation from the project.